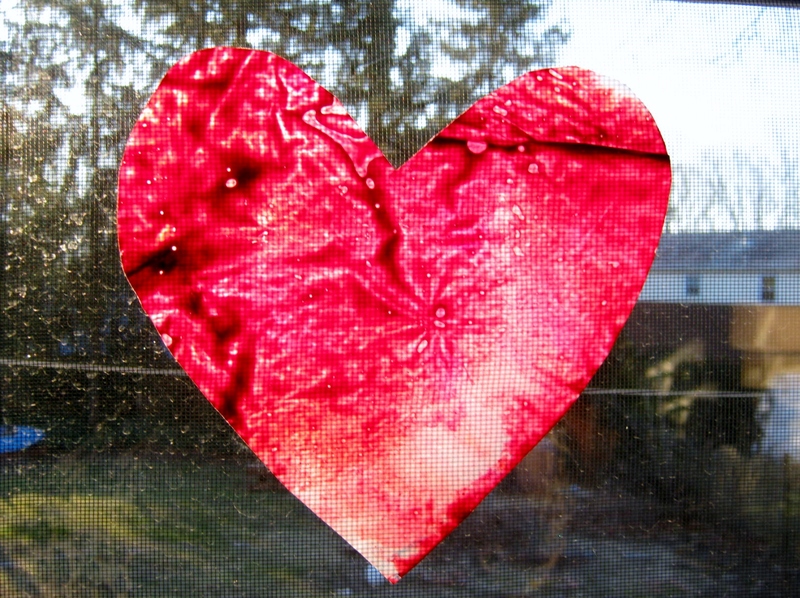 My grandsons and I created beautiful Waxed Paper Stained Glass Hearts to put on our windows. 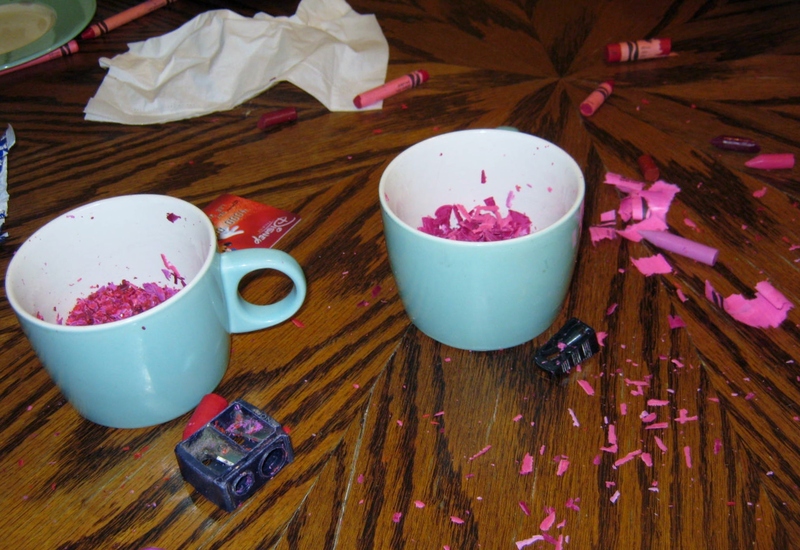 First we used pencil sharpeners and created shavings of pink, red, and violet crayola crayons. Yes, our crayon box is now depleted of these colors…must buy more. 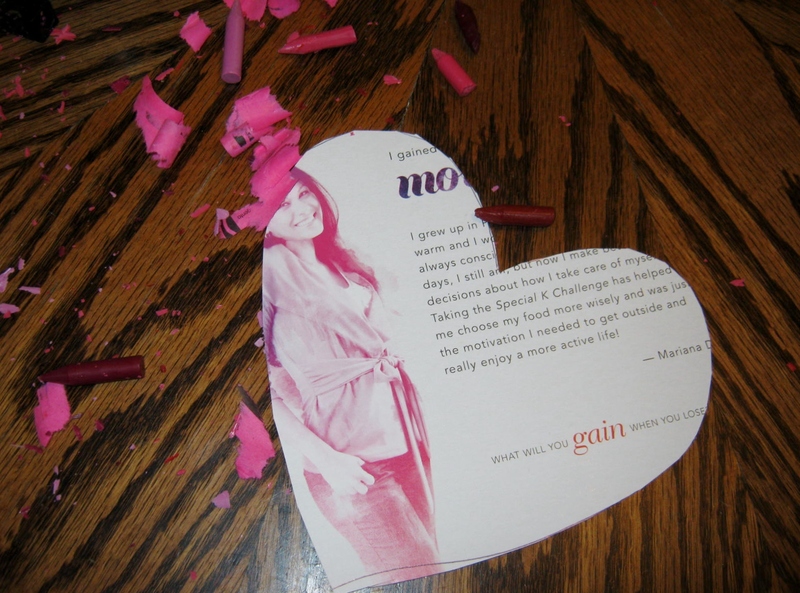 I used the back of a cereal box and cut out a heart shaped pattern. We traced this onto waxed paper with a Sharpie, and then dribbled bits of the shaved crayons into the outline. We covered the shavings and paper with another sheet of waxed paper, and I ran a hot iron over them very briefly. 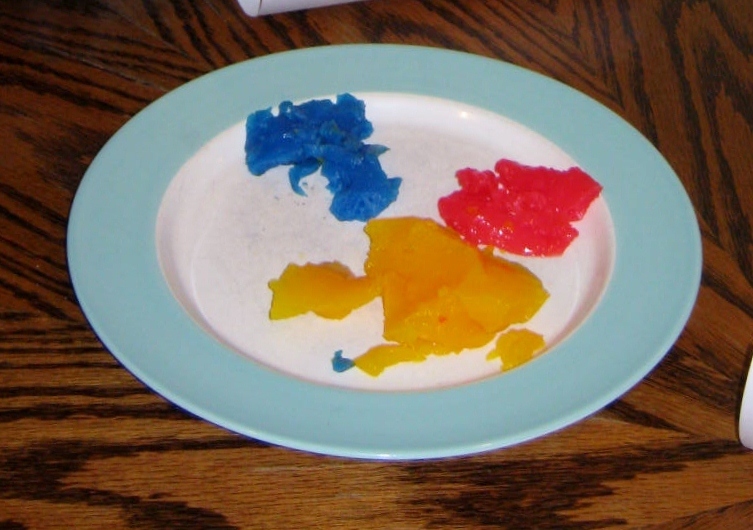 This melted the crayons into a beautiful pool of swirled and translucent colors. I carefully picked it up and laid it on the garage floor to dry. When they had hardened we cut them out and hung them on our window with double sided tape. (I have since realized a glue stick is a much better choice!) I would give this project an A++. 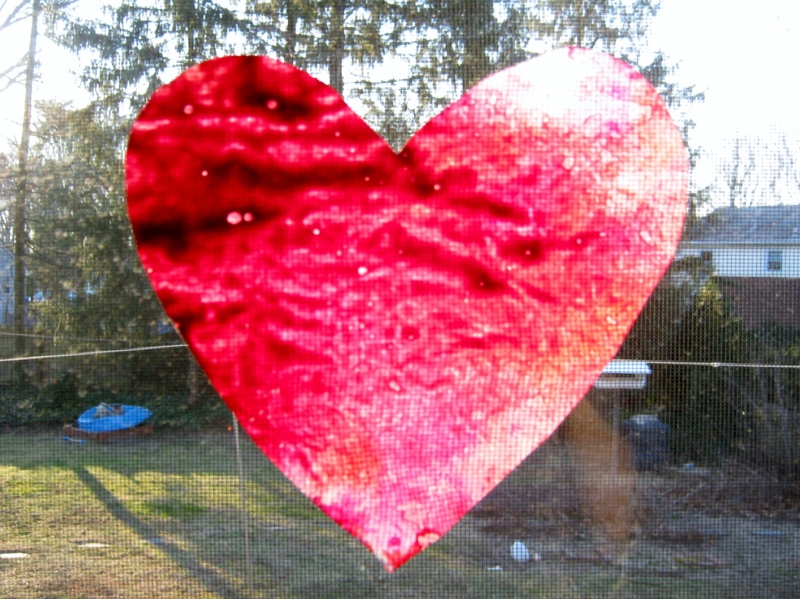 The Valentine hearts glow when sunshine steams through them. I wish we had more waxed paper and crayons, I would have made dozens.